I have to admit, I’m a bit of a sham. I like to call myself a foodie, but in my entire life I have never cooked any creature from the sea. Recently, I’ve been trying a scallop here, some flaky white fish there, and trying to expand my horizons. Slowly but surely I’ll make my way to tuna tartar and giant clams. As Ina has never yet failed me, I decided to try a slight variation on her Linguini with Shrimp Scampi for my first fishy endeavour. 3/4 lb fettucini — I had dough left over from my tortellini so I made FRESH fettucini! 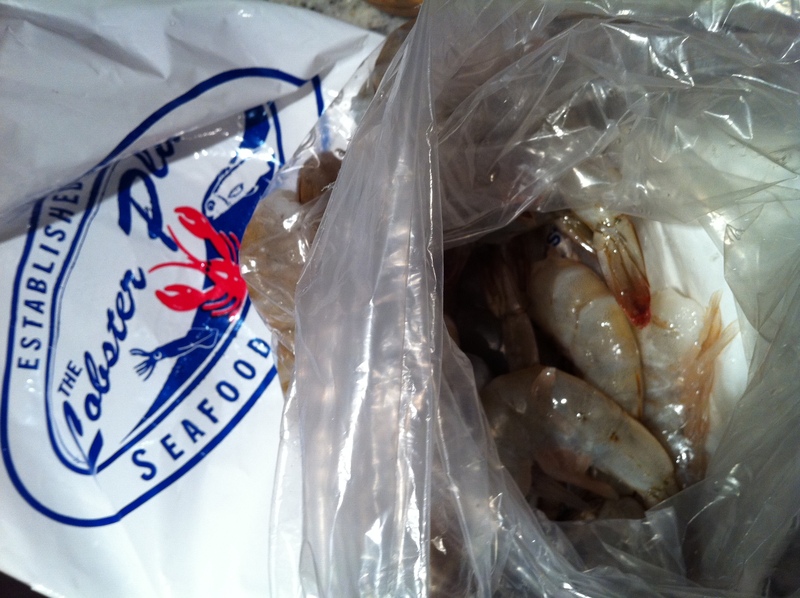 I ventured to Lobster Place in Chelsea Market to procure my shrimp. I decided to take a few moments to have a conversation with my salty friends. I explained that I was going to carefully remove their shells, and slice out their digestive tracts with a small, sharp knife. I think it went over went quite well. The actual process was pretty traumatizing at the beginning… Amy offered her support via iPhone facetime the entire time. I kept having to convince myself that they were actually dead, and taking off their shells wasn’t hurting them… and their floppy little hands weren’t going to grab my fingers. It probably took me an hour to complete the shelling and de-veining alone. Everything else comes together quite quickly. Cook the pasta as directed on the packaging, set aside. Heat up the oil and butter in a large frying pan. Add the garlic and cook for just a minute or two. 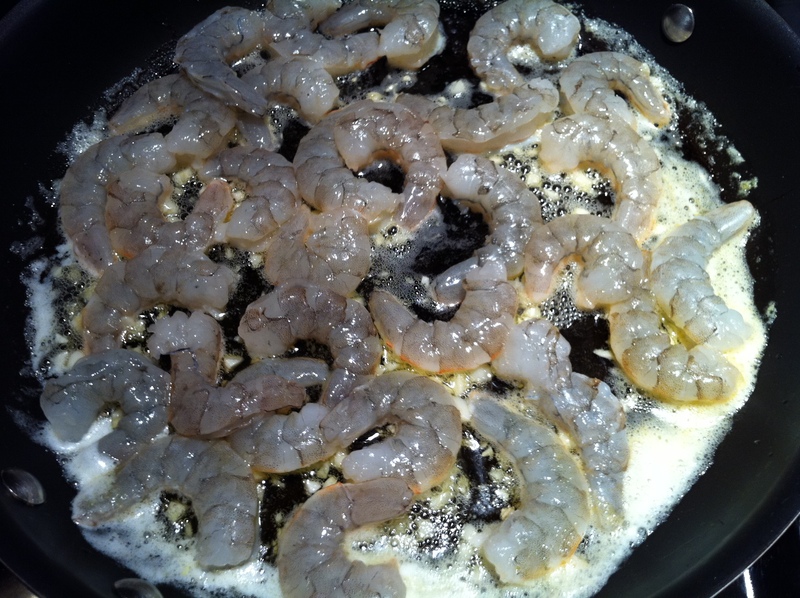 Add the shrimp in one even layer. After about 1.5-2 minutes, flip them all over and cook for another 1.5-2 minutes (this all depends on the size of the shrimp you have, if they are larger, cook for a total of about 5 minutes). Off the heat, add the lemon zest, lemon juice and about 1tsp salt and 1/4 tsp pepper. Then add the pasta and toss to combine. Finally, sprinkle the parsely on top and serve immediately! I’ll have to admit, these little guys are pretty tasty! They don’t have much flavor on their own, but they were divine drenched in butter and garlic (seriously… what isn’t). A perfect dish for a first-ever seafood experience. 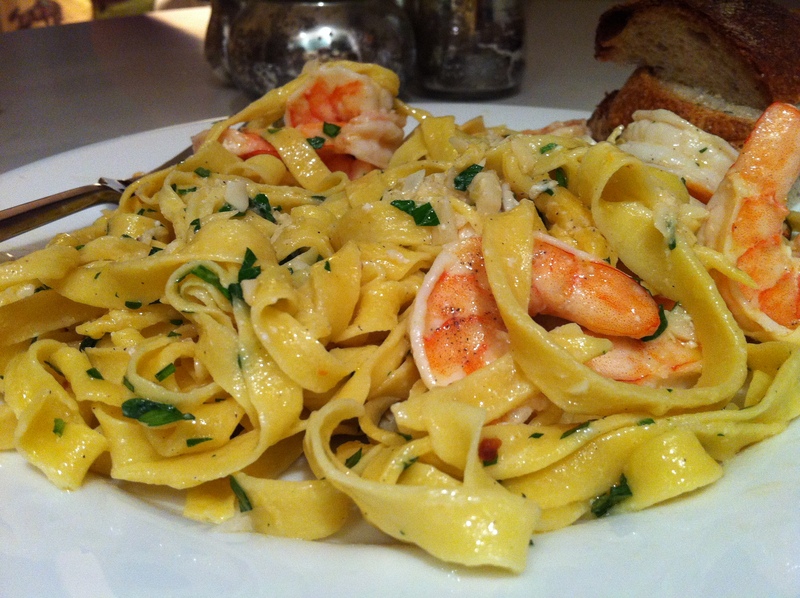 This entry was posted in Shrimp and tagged butter, Chelsea Market, fresh pasta, garlic, Ina Garten, lemon, Lobster Place, parsley, pasta, shrimp, shrimp scampi. Bookmark the permalink. Might I add you were fearless throughout your deveining process. 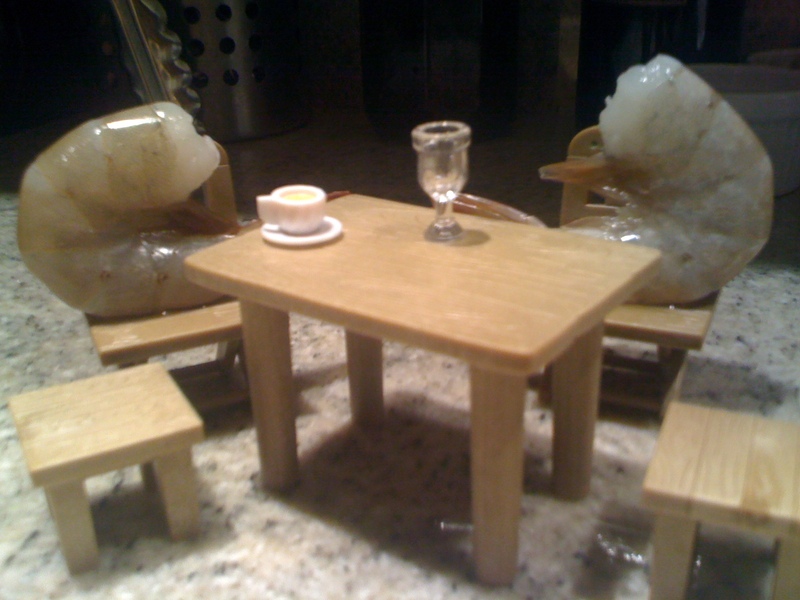 May this be the first of many successful seafood ventures. 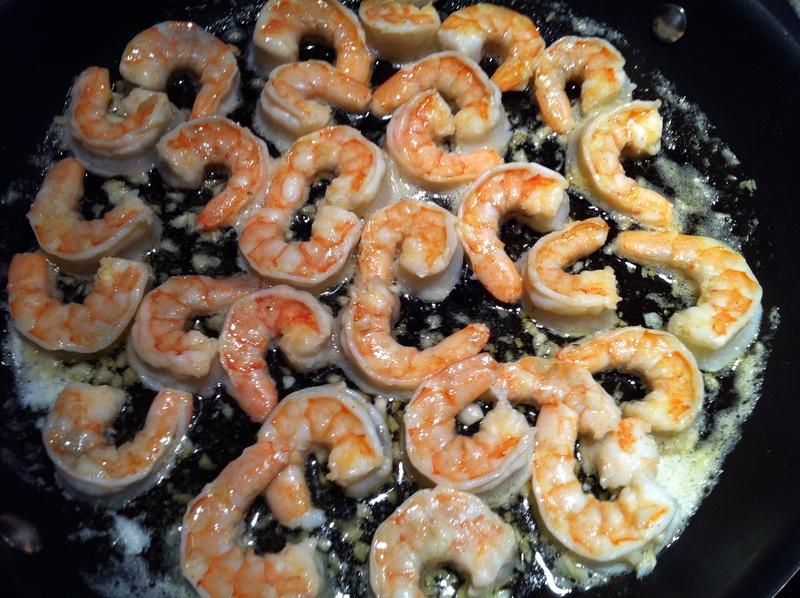 Your scampi looks heavenly!